Wherever Rico Rodriguez goes, trouble follows. The Just Cause hero has a knack for leaving a trail of explosions, twisted steel, and empty bullet shells in his wake. 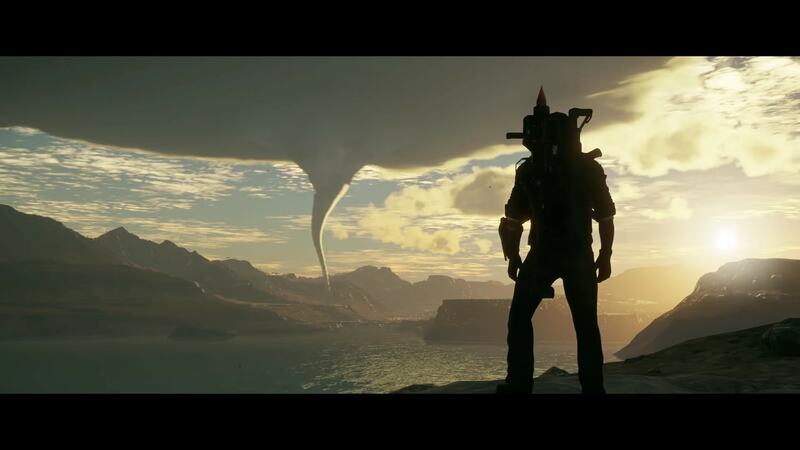 In Just Cause 4, it's safe to expect more of the same. The game aims to be bigger, faster, and more explosive than its predecessors. And this time, even the weather's out to kill Rico. During Square Enix's E3 presser, viewers got a look at some of the upcoming open-world action game's various features. There will be tornadoes, forked lightning, an upgraded grapple hook, and all-new vehicles. How players utilize the different elements is entirely up to them. Just Cause 4 will be serving its explosive action up on December 4, 2018.